Get powerful insights to discover how your users engage with your media to maximise your success. If your business relies on potential customers to watch video or listen to audio content on your website, then you need to know your time and investment spent on creating your media content is paying off. Have you ever wondered if your content is being watched? For how long? From where are they watching it? How do they affect your conversion rates and sales? 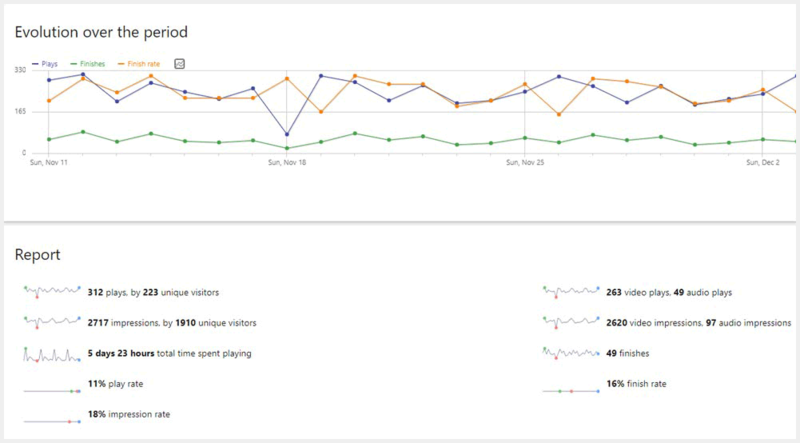 Matomo’s Media Analytics feature allows you to answer all of those questions to make better decisions and achieve the goals you expect from your content. 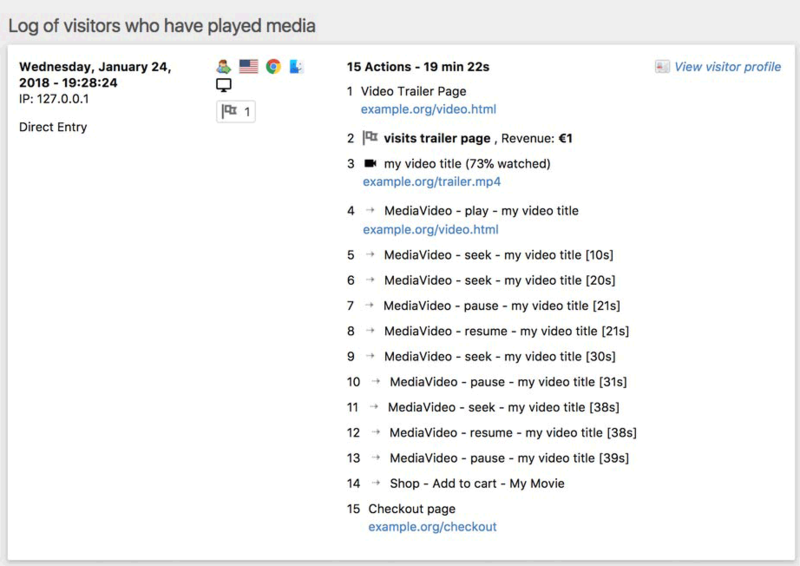 Matomo’s unique Media Analytics feature will give you all the insights you need to see if your videos or audio content is connecting with your audience and whether or not your content is leading to conversions or sales. The Media Analytics feature requires no manual configuration to set up and gaining these insights begins as soon as you install Matomo. Whether you want to know how many plays your media gets, finish rates, how your media is consumed over time, how media was consumed on specific days, which locations are users viewing your content – the powerful thing about Media Analytics is, it will help answer all of your questions. These facts let you assess how your audience responds to your content and in turn, helps you maximise your success when creating media. Sometimes you need metrics right away after uploading media content and for this reason you can see how your media is being viewed in real time. Always keep an eye on what is happening on your website right now! The real time widgets show you crucial video and audio metrics as they are happening. These real time insights help you make better decisions on the spot for your business. 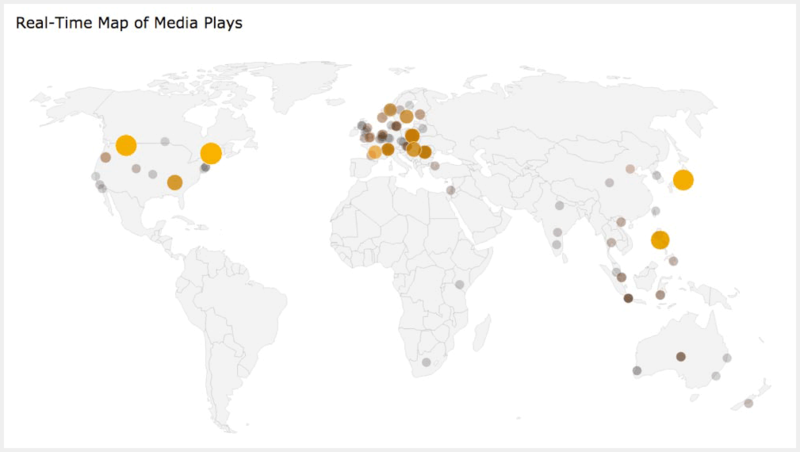 Learn where your audience is located around the world, who they are and what they did before and after watching a video or listening to audio. 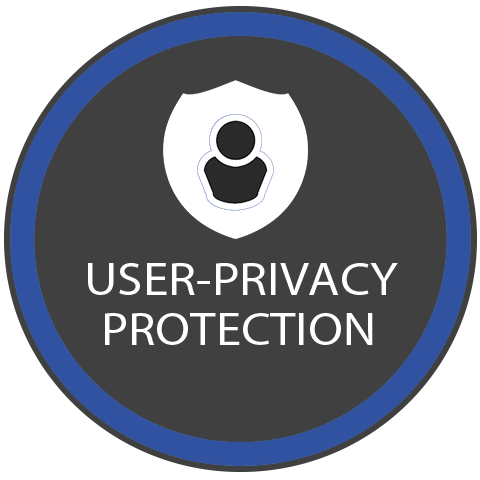 Understand your audience better by seeing and analysing individual actions each user performs. This way you can evaluate the full journey of individual users and understand how your media influenced their lifetime behaviour with your business. 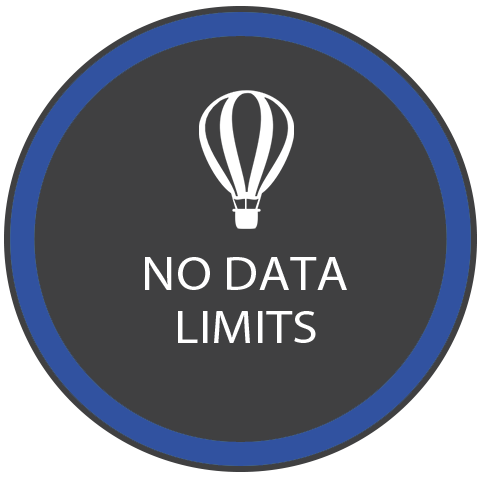 With Matomo you can gain insights of every video and audio content on your website without restrictions. If media content is important to your business, then the ROI you will achieve with Media Analytics is massive. Don’t continue wondering if video and audio is leading to sales or conversions, start getting the facts! 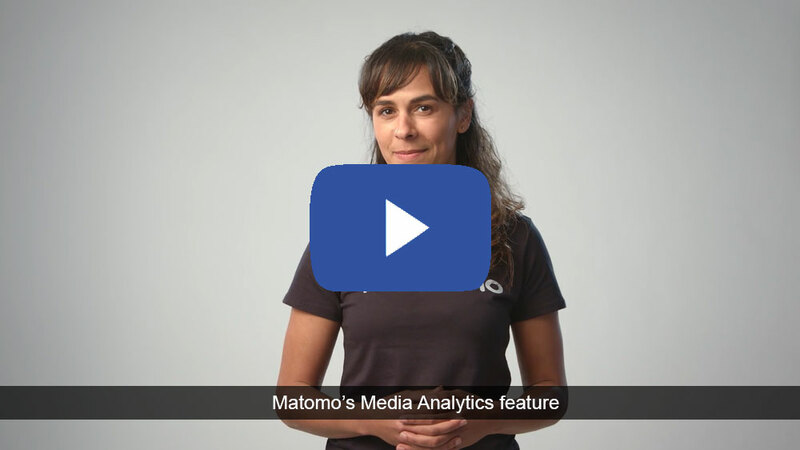 Begin using Media Analytics, Start your 30-day free trial today to use Matomo’s full suite of complete analytics. 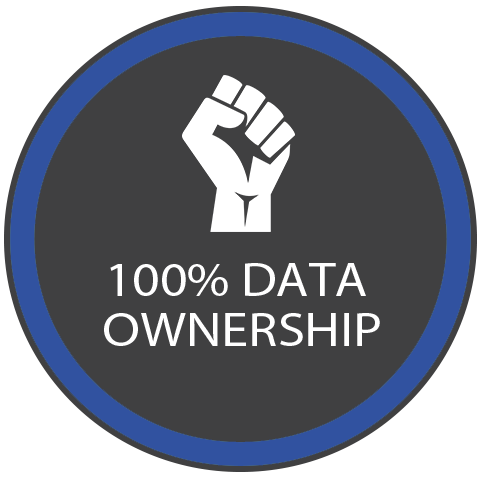 Or are you wanting to learn more about using Media Analytics for Matomo On-Premise instead?